Israel's Mossad chief Yossi Cohen and newly appointed national security adviser Meir Ben-Shabbat will accompany Prime Minister Benjamin Netanyahu during his upcoming visit to Russia, Haaretz newspaper reported Monday. MOSCOW (Sputnik) — On Sunday, Israeli media reported that Netanyahu and Russian President Vladimir Putin will meet in Russia's southern city of Sochi on Wednesday. 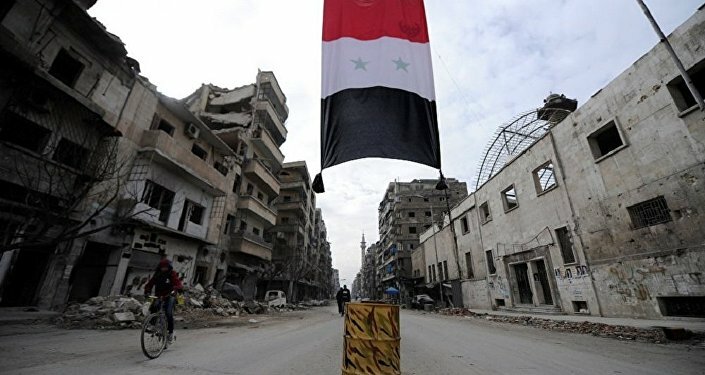 According to the newspaper, the leaders will discuss a number of regional issues, including the ceasefire agreement in southern Syria, as well as Iran and the Lebanese Hezbollah movement's involvement in Syria. In early August, the newspaper reported, citing Israeli and European politicians, that Israel, Russia and the United States held several rounds of secret talks in early July to discuss the ceasefire in southern Syria and the creation of de-escalation zones on the country's borders with Israel and Jordan. The main dispute was over the fact that the ceasefire was considered by Russia and the United States to be a tool for stabilizing the situation and enhancing the fight against Daesh. Israel, on the other hand, stressed the need to discuss Iranian presence on Syrian territory, specifically the withdrawal of Iran's Islamic Revolutionary Guards Corps (IRGC), Lebanon’s Hezbollah movement and Shiite militias. The memorandum on the establishment of de-escalation zone in the Daraa, Quneitra and As-Suwayda provinces in southwestern Syria, agreed upon by Russia, Jordan and the United States, took effect on July 9. Since then, Russian military police have set up new checkpoints and observation posts throughout the safe zone to ensure that hostilities do not resume.